Join us for the Museum’s quarterly book club and enjoy stimulating dialogue around a work of fiction thematically connected to one of the Museum’s current exhibitions. This quarter’s book club will discuss The Wife’s Story from Pulitzer Prize winning author Carol Shield’s two novel book, Happenstance: Two Novels in One About a Marriage in Transition. This story explores an intimate portrait of a marriage through the eyes of the wife, Brenda Bowman, who is also a quilter. Dr. Edith Frampton from SDSU will led the discussion on Shield’s novel as it relates to themes presented in the Museum’s current display of quilts from its Pat L. Nickols American Quilts Collection. Carol Shields is currently considered a "single author." If one or more works are by a distinct, homonymous authors, go ahead and split the author. 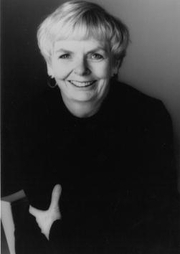 Carol Shields is composed of 7 names. You can examine and separate out names.